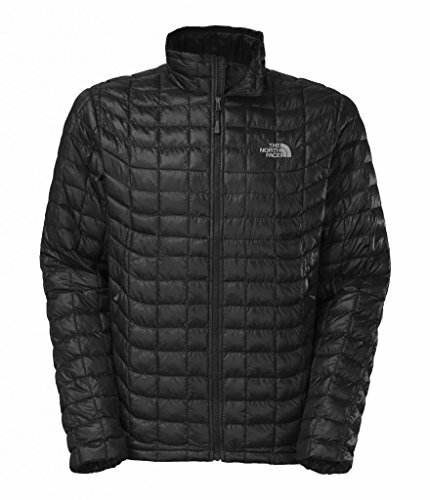 » North Face Thermoball Jacket Review – Stylish, but Functional? North Face Thermoball Jacket Review – Stylish, but Functional? 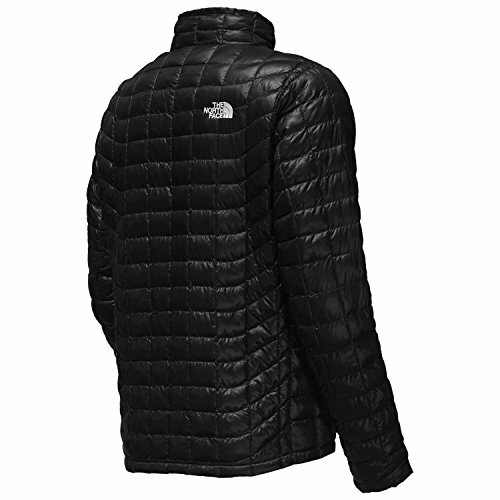 This North Face Thermoball jacket uses an innovative synthetic fiber insulation, meant to mimic the properties of down. The small compression size and excellent warmth to weight ratio are only a few of the amazing features of this product. However, most impressive of all is its ability to retain heat while wet. 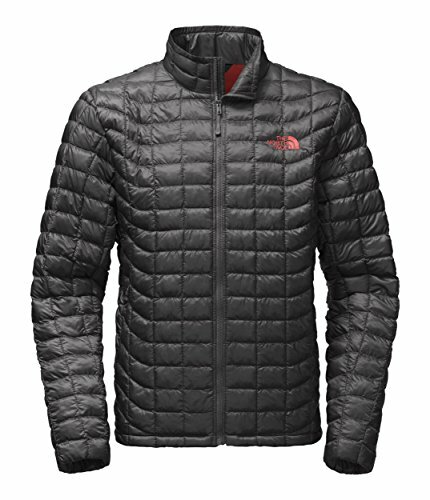 The Thermoball technology (developed in a partnership with PrimaLoft) is made up of small, round synthetic fiber clusters, which trap heat in small air pockets throughout the jacket. 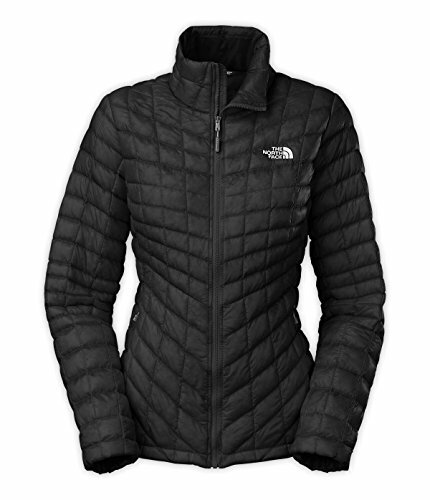 The North Face claims it to be the “go to jacket” for outdoor adventures. Available for both men and women in a wide variety of sizes and colors, this product is certainly worth it’s value. 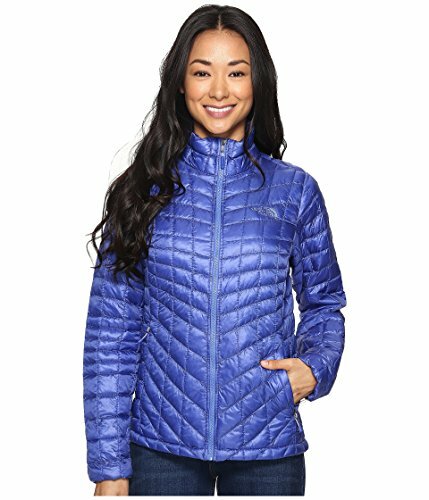 Due to the quilt like stitching of the jacket, the synthetic fiber clusters are able to retain heat in small air pockets. That heat is then fully trapped by the elastic wrist cuffs and a hemmed elastic cord at the waist. In general, it has the same warmth to weight ratio that you can expect from goose down sweaters of a similar thickness. The Thermoball Jacket is revolutionary in that it retains warmth, even when the jacket is soaking wet. Instead of absorbing the water, the thermoballs stay loft while wet causing the jacket to dry fast and stay warm. Gear Junkie’s Sean McCoy, who subjected the jacket to a dunk test, proved this fact. 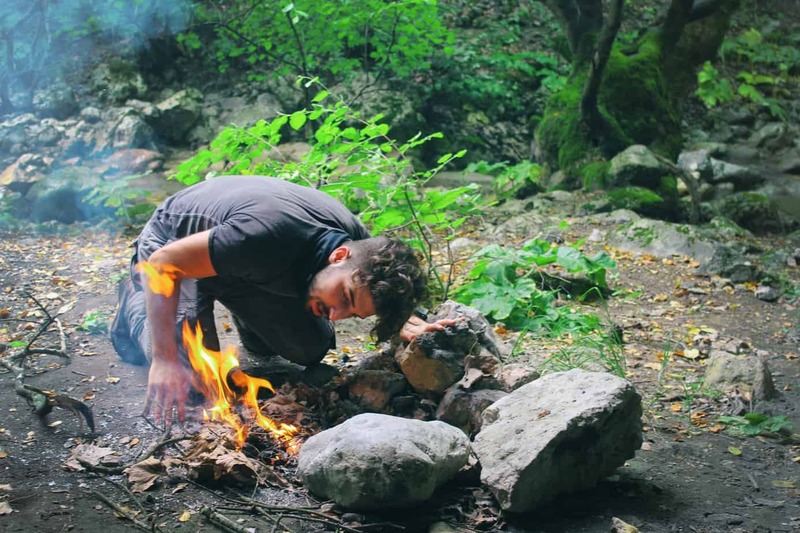 He submerged the jacket in ice-cold water before attempting a hike in 30-degree (°F) weather. He first noticed that the jacket would not sink. Due to its synthetic fiber clusters, it is designed to repel water. He wore the wet jacket for the duration of his hike and was surprised to find that it remained warm on the inside and dried quickly! It is important to note that while the Thermoball Jacket will keep you warm, it won’t necessarily keep you dry. Prolonged exposure to rain will seep through. For that reason, it is not recommended as a substitute for a raincoat. It is a good mid-layer, but should definitely be paired with a waterproof shell if rain is to be expected. The Thermoball Jacket won’t wear like a cozy sweater, but it does have some notable attributes. Due to the quilt like stitching pattern, the material does not bunch. Along with ergonomic zippers and deep pockets comfort is not an issue, provided the sizing is correct. If the sizing is incorrect the Thermoball Jacket does have a tendency to ride up above the waist, when arms are lifted. However, that is minimized if it is worn as a mid-layer rather than a jacket on it’s own. At a weight of about 11 oz., the Thermoball Jacket is extremely portable and lightweight. The exclusion of a hood is a definite positive as it keeps the jacket both lighter and less bulky. It is designed to be stuffed into its’ own pocket. This will render the Thermoball Jacket to about the size of a melon. This compression offers an accessory loop that can be used to clip the jacket onto a harness or backpack. However, the shape of the compressed jacket is awkward and does not hang evenly. For this reason, it is not suggested to use the pocket compression for that particular purpose. Additionally, it can compress much smaller (at least half the size) if compressed outside of its’ own pocket. This may not be as neat, but it could save you space if you are using it on a hiking or skiing trip. Wind resistance is the weakest feature of the Thermoball Jacket, as it has none. Due to of the focus on retaining heat while wet, this jacket has no interior lining. This open design is very beneficial for trapping heat, but not in protecting against winds. Wind can easily pass through the jacket, stealing away the heat trapped within the air pockets. This could leave you cold and possibly wet. An easy solution to this issue would be to wear a wind cover with the Thermoball Jacket. As stated before, the Thermoball Jacket works best as a mid-layer, and wind resistance is a major contributing factor to that. Stylistically speaking, the Thermoball Jacket is a great and flattering fit for most. It definitely has a more athletic build than other jackets, meaning there isn’t too much room within the jacket. But, it shouldn’t be skintight either. Offered in a wide variety of colors, for both men and women, it is unlikely that you won’t find a color to suit you. It is important to not that, in the past, there have been issues with online purchases. Not all the colors are accurately displayed on screens (the blues in particular), leaving customers upset upon the arrival of the jacket. If color is important to you, it is recommended that you buy the Thermoball Jacket in person, rather than online, to ensure you are getting exactly what you want. There is not a huge distinction between the men and women’s jacket. Performance wise, they are identical. No real issues have been presented by either side. The only real difference comes with the appearance. The women’s fit has more of an hourglass cut while the men’s version is looser and more square (still built for athletic build). The purpose of this was to ensure that the Thermoball Jacket looked flattering on both men and women. The only other issue presented was with sizing. Women have found that the sizing of the woman’s coats are inaccurate. They have often had to buy a size larger than normal. The Thermoball Jacket is a great mid-layer that will provide you with excellent insulation. The thin material is great because it offers mobility, warmth and flexibility. There have been a few complaints about the thin material being cheap and flimsy, with stitching unraveling or loosening. Overall, this is not an issue that has affected most. The Thermoball Jacket comes with a lifetime warranty in case of situations like that. If used as stated, it’s a great value for what it offers! The Thermoball Jacket is a revolutionary and adaptable piece of clothing that is best suited for activities like hiking, backpacking, alpine skiing and any other casual activities that require mobility and warmth. It works best as a mid-layer, pairing well with a windproof or waterproof shell. If you are looking for a jacket that will keep you warm in the middle of winter, or dry during a rainstorm, this jacket is not the right fit for you. But, if you’re looking for a lightweight and flexible layer that will keep you warm during outdoor activities, the Thermoball Jacket will provide you with the mobility, warmth, and functionality needed.